Reach for the stars and beyond in these Aeon Capri pant. 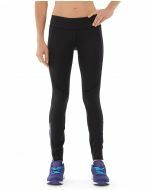 With a soft, comfortable feel and moisture wicking fabric, these duo-tone leggings are easy to wear -- and wear attractively. • Black capris with teal accents. • Thick, 3" flattering waistband. 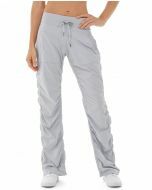 • Media pocket on inner waistband. • Dry wick finish for ultimate comfort and dryness.